Android is an operating system for mobile phones based on Linux as the kernel. Today could be called the king of Android smartphones. Why Android is so rapid developments in the current era? Because Android provides an open platform (Open Source) for developers to create their own applications. Initially, the company is now the biggest search engines, namely Google Inc.. bought Android Inc.. , Newcomers who make software for mobile phones. Android, Inc.. founded by Andy Rubin, Rich Milner, Nick Sears, and Chris White in 2003. In August 2005 Google bought Android Inc.. Then to develop Android formed the Open Handset Alliance a consortium of 34 companies hardware, software and telecommunications, including Google, HTC, Intel, Motorola, Qualqomm, T-Mobile and Nividia. At the inaugural release of Android, 5 November 2007, with the Open Handset Alliance Android states support the development of open standards on mobile devices. On the other hand, Google released the Android code under the Apache license, a license software and open standard mobile device. 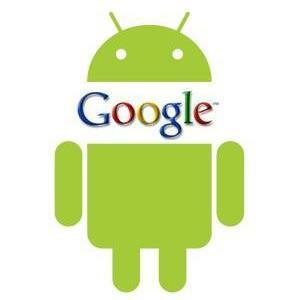 Android has two distributors, namely Google Mail Services (GMS) and the Open Handset Distributor (OHD). GMS is a distributor of Android get full support from Google, while OHD is distibtor Android without direct support from Google. We have had many emerging vendors for smartphones, which include: HTC, Motorola, Samsung, LG, HKC, Huawei, Archos, Camangi Webstation, Dell, Nexus, Sciphone, WayteQ, Sony Ericsson, Acer, Philips, T-Mobile, Nexian, IMO, Asus and other vendors producing Android smartphone. Why it's been a lot of emerging smartphone vendor mentioned above? Because the Android operating system is open source so it is now emerging that much verndor smartphone. Android became the main competitor of Apple products such as http://littlebitjohnny.blogspot.com /search/label/Smartphone">smartphones and http://littlebitjohnny.blogspot.com /search/label/BlackBerry">BlackBerry. The rapid growth of Android because Android is a platform that is comprehensive both in terms of operating systems, applications and tools development, market that stores a variety of applications and coupled with support by the open source community in the world, so the fast-growing Android to date, both in terms of technology and preachers in the world in terms of number of devices. DID YOU KNOW in June 2011 and then Google announced that the average Android device activation per day to half a million units. Woww,, so special way so that the eyes of lovers of Android smartphone users chose Android as a smartphone. You have finished reading History of Android OS (Operating System) and many articles about Tech Gallery in our blog this, please read it. and url link of this article is https://littlebitjohnny.blogspot.com/2013/01/history-of-android-os-operating-system.html Hopefully discussion articles on provide more knowledge about the world of new tech gadgets.